And many shop owners have awoken to the fact that this probably isn’t going to continue like this for much longer. For a long time, presence on eBay and Idealo without any strategy has been enough to generate millions of revenue. If you had access to a product range at good conditions, it was simply enough to put it onto the Internet. There was always someone who would buy it. Then suddenly, manufacturers go on the warpath too. They no longer want to have pioneers, they want to do the selling themselves. Walls are wobbling on all sides and shop owners need to ask themselves: What’s next, which problem do I solve first? Online shops need to fulfil their own specific purpose, otherwise it will eventually make no sense for the manufactures too. This is the point when an online shop needs to stand out. By now, at the latest, the nagging question needs to be asked: Where is my added value? What is my reason for existence? What must I be uniquely good at in order to have sustainable success? For a long time, many products generated growth. A professional dealer does not necessarily have a lot of products, but special products. He makes the choice easy for the user. The added value lies in an accurate selection. The added value can also be created by an inspiring presentation of the product range. Many fashion shops develop their own style in this regard and offer emotionally activating theme worlds that inspire, awaken desire and seduce into buying. However, added value can also be in extreme diversity. Making the effort to find as many products and brands as possible and to list these. But you will quickly find yourself on a collision course with eBay, Amazon, Zalando and Co.
Shop owners need to rethink, because sending parcels is no longer the core service of an ecommerce company. Customer expectations are high and must be met, full stop! Now is the time to set the course so you are on the right track over the long term. What can I do? What can I do better than anyone else? What can I do that others cannot quickly copy? Authenticity form the basis of credibility. And it is the secret success factor of established online retailers. When external image and actual perception match, the image and honesty of the shop prove to be true. Wikipedia calls it “authenticity in the sense of perceiving the original”. Authenticity arises when the promise of the online shop really comes true. This does not necessarily mean punctual delivery. If you sell organic products, I expect the invoice to be on recycled paper, if you sell snowboards, I expect dynamic, energetic people on the hotline. Authenticity must be lived – through the entire company. While large mail order companies give a promise of complete availability, more affordable prices and fast delivery, many smaller shops focus on another factor: emotion. The shops are carefully designed, products are displayed in an edgy way and described in detail. Customers are emotionally seized, inspired and swept away. The simple user experience transforms into a brand experience – something special. However, the user perceives far more promise in the shop than is directly given. These expectations are caused by the impression that the shops give and must be met accordingly. The authenticity attracts clientèle, creates loyalty and the image is often conferred onto to its customers. Customer loyalty is created through authenticity. Those who succeed in appearing authentic have an advantage over emotionless online shops without a heart, emotion or feelings… and shopping is still an emotional experience and rarely a purely rational affair. 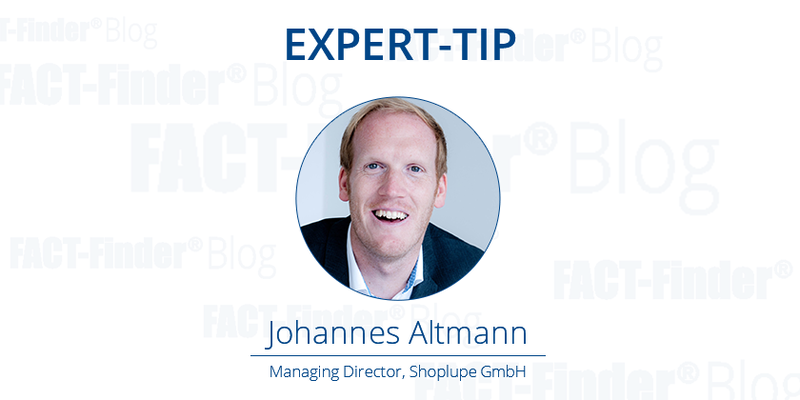 Johannes Altmann is Managing Director of Shoplupe GmbH and has been working in ecommerce for 15 years. The industry analyst Jochen Krisch from exciting commerce describes him as the best shop consultant in Germany. The magazine t3n voted him as one of the Top100 Doers in ecommerce in 2014. 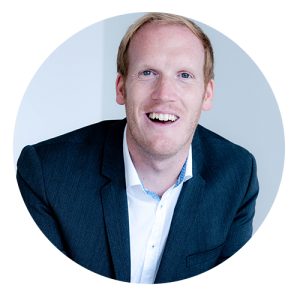 Together with his team, he advises online shops, branded goods manufacturers and publishers in the design and optimisation of online shops. His central topic is branding through usability with the question of what makes shops unique and desirable. He lectures at all renowned ecommerce events and is the initiator of the Shop Usability Awards – the most prestigious German e-commerce award. Previous Post More revenue in 2016? This is what retailers should do! the website is available on the web but is not viewed by the target audience. measured by the number of clicks the site received for certain keywords.